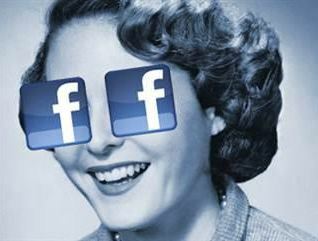 Facebook doesn't want you to be in the dark about their new privacy policies. 2015 is arriving and, as usual, tech companies start to launch their updates for the new year. However, it looks like someone is sparking some debate with its recent policies that are to be implemented in less than a month. That someone is… Facebook. After all the controversy around the Facebook Messenger app last summer, the world’s largest social media company is under fire, again! Recently, Facebook published their new terms, data policies, and cookies policies that the network will launch January 1st. Basically, the update says that every user of Facebook’s services agree, among other changes, with the utilization of tools that can help to aggregate data in order to create more customized ads – the company also introduces ways to guarantee basic data security. I’ve noticed that the way I’ve received the ads in my profile is quite different to what it used to be. After simply browsing through a website related to a specific theme, let’s say, football or software, I immediately start to receive wall post offers related to that topic, company, or product that I researched online. Imagine how it’s going to be in 2015 after the new policy has been officially launched? Would the world’s largest social media website be spying on us? They have admitted publicly that it’s quite easy to monitor online activities, and they do hold a lot of data on their members, which makes people feel a bit uncomfortable. Just search for articles about it, and you’ll see. Discover what's going on around you: Facebook is working on ways to show you the most relevant information based on where you are and what your friends are up to. Make purchases more convenient: People in some regions will see a Buy button, making purchasing easy because you don’t have to leave Facebook. And you get targeted ads based on what you are interested in, like me seeing an increased number of football and software ads. Make you part of the Facebook ecosystem: You will be even more invested in the “Facebook family” because they are making Instagram, WhatsApp, and the growing number of companies, apps and services that Facebook is acquiring work together more seamlessly. You should be concerned about the contents and data that you publish on Facebook, because sometimes they make you look like an idiot, but don’t go off the deep end thinking that your social network will steal your privacy! You are still under control of your data! To help you maintain control, Facebook wants you to understand how they use your information and find information about privacy on Facebook at the moment you need it. Tips and suggestions can be found in Privacy Basics. And, obviously, use a good antivirus that will help you with all the above procedures! No matter what tools online companies and social media websites are using to better understand your behavior in the “Internet of Things”, you are still under control of your data. Do your part and live a health virtual life!